Create your own miniature work of art! Make a very simple way individual works of art. 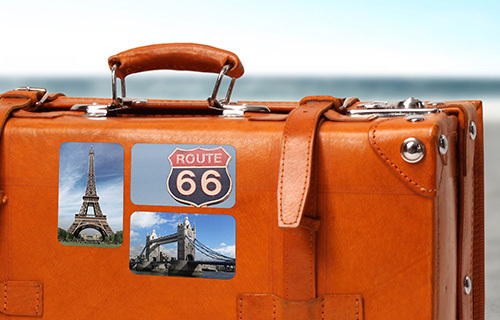 With our self-adhesive photo stickers you can conjure up your own personal notebook in a jiffy. Or you can decorate school bags and exercise books your children with the photo stickers. 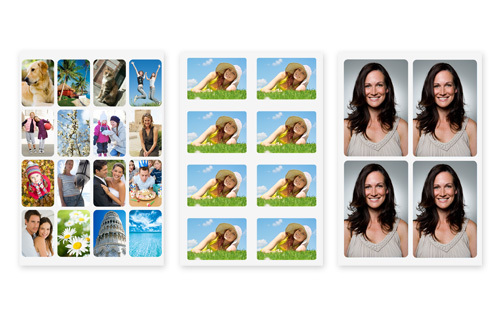 Simply select favorite pictures and favorite design, you will begin to have your own photo stickers. The sticker sheets are available on brilliant photo paper with 4, 8 and 16 images.